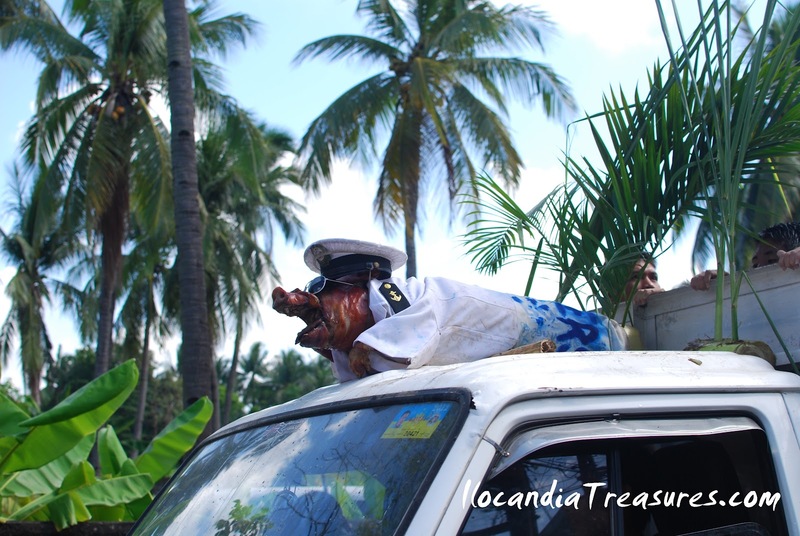 The town of Balayan in the province of Batangas annually hold the parade of roasted pigs (parada ng lechon) every 24th day of June. 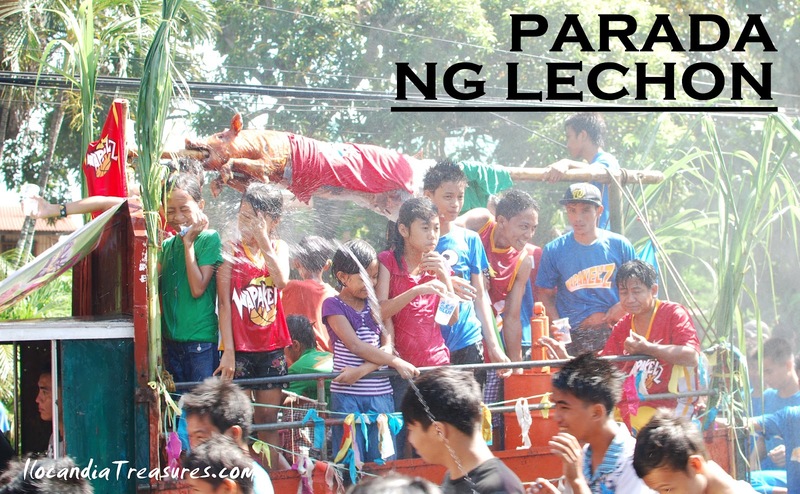 This is also the celebration of the feast of Saint John the Baptist where everyone splash water to anyone. Balayan is a first class municipality of Batangas and its name was derived from the Old Tagalog word balayan meaning to walk past the paddies from a basket to another. Another source would also be balayang meaning a wood. It was timely that I was in Manila, I took a bus in Kamuning in the wee hours of morning to Batangas. It took us around 3 hours to get to Balayan. Once you get close to the town, some people on the streets join the splashing of water. The bus barely stop at people because they really make everyone wet. Passengers of jeepneys are always the victims because they are on an open vehicle. We passed by one town and they were doing the parade but I have seen litsong manok arranged in a float. Every inch that gets close to the town was excitement for everyone in the bus. I even brought with me plastic bag where I will keep my camera. I have readied myself by taking off my shades, cap and even my socks. I alighted at the highway and walked through the parade. I saw some of the roasted pigs displayed on floats with costumes and some were wrapped on plastic sheets so as not to get wet. However people continue to splash water to each other. 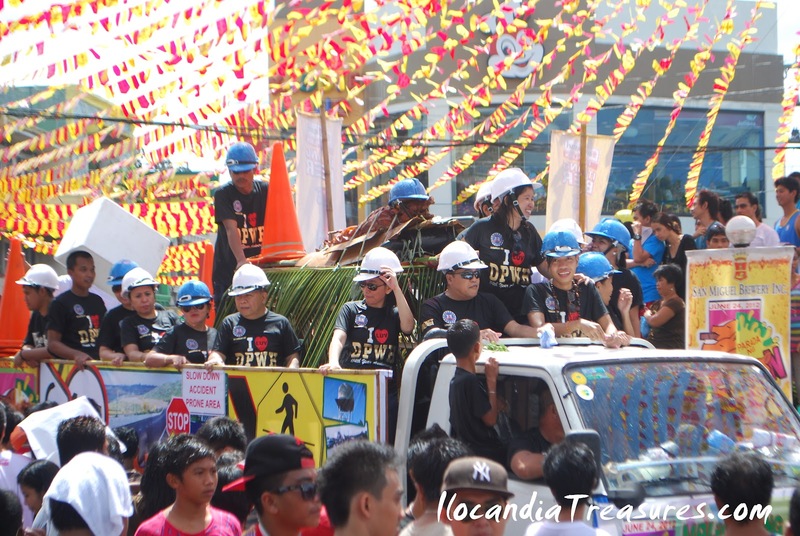 They got big pails, containers of water and hose firing water to the people on parade. Many sport toy guns too especially children. 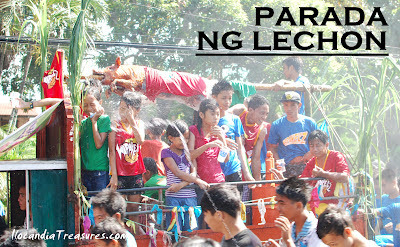 The lechons were not even spared with the splashing of water. I was so lucky that I did not get much wet since they know that Im taking photos. I walked up towards the church where the parade ended. I paid a visit and I saw at the church that there was a mass baptism for children. I met some people in front of the church who were still watching the parade. They told me that in the past, people would just hold the lechons and walked around one by one but today one can barely see the roasted pigs because it was held on floats and covered by people. 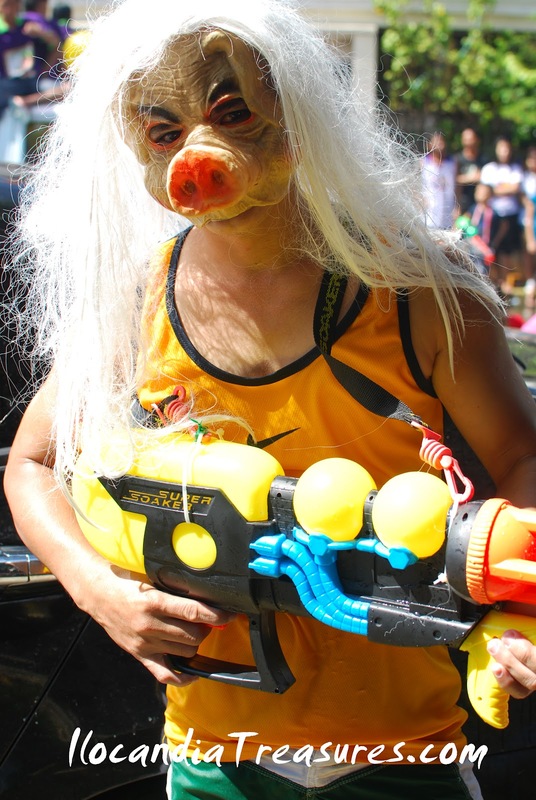 Since I was on the rush I could not find where to take a sample of the lechon, one lady told me that each barangay prepares a lechon for their community to partake. 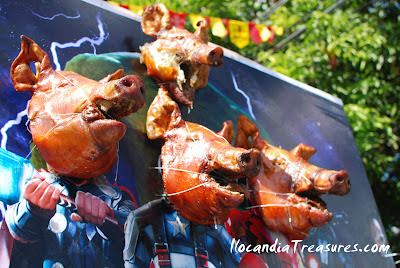 So I tried some of the native delicacies available around especially the bibingka and buchi.